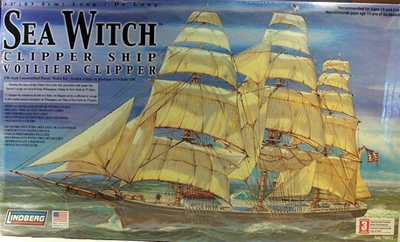 Lindberg 1/96 Sea Witch - Clipper Ship. During the first days of the China Tea trade this graceful craft made the fastest voyage from Whampoa, China to New York in 77 days. 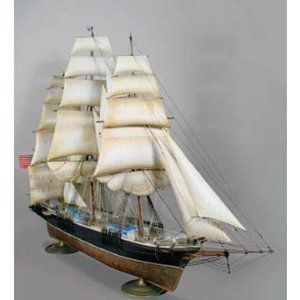 Ship can be rigged with or without sails. Rigging thread and chains included. Skill level 3: Experienced builder, most challenging, recommended for ages 14 and over.